Much like your library of footprints or cells, proper naming conventions are critical for easy identification and utilization of schematic symbols. This can be complicated by the fact that generic symbols can be utilized for certain component types, whereas more intricate components, such as connectors or ICs, will require unique symbols with different naming conventions. 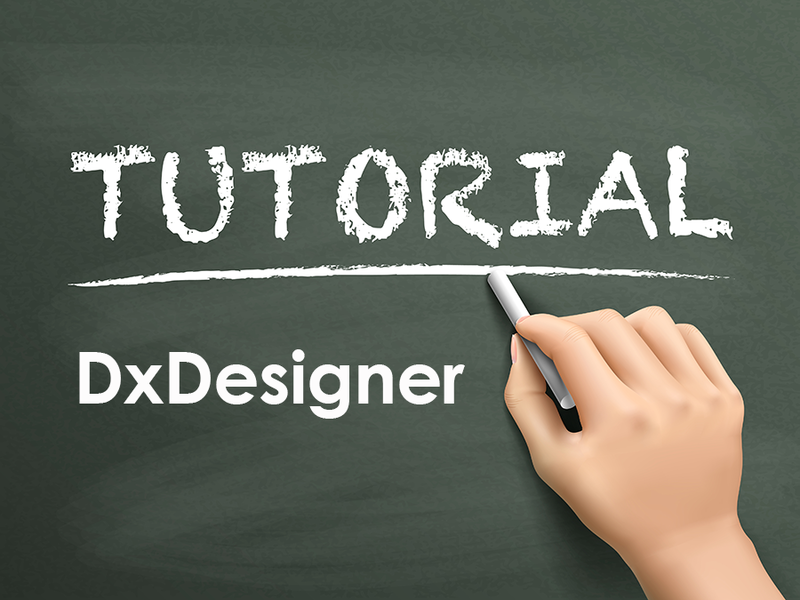 In this series of DxDesigner tutorials we’ll take a look at the organizational methods of Optimum librarians, beginning with symbol naming, and moving on to pin considerations, and overall symbol library structure. When choosing which prefix for the symbol name, it is essential that the relationship between the component and the prefix is self-explanatory. For example, plg represents plug, cap is capacitor, etc. Utilizing the manufacturer part number is another common naming convention for symbols. This is commonly used for ICs, but can be used with other symbols if deemed appropriate. Within Optimum libraries, IC symbol naming is in the form of Base MPN – Package. Pin group qualifiers, as a suffix, are used to name the separate symbols used in a device, according to the various pin groups of the component. For example: -gnd, -cfg, -bnk2. Outside of part type prefixes, symbols can also use other descriptive part type qualifiers in their naming conventions. In general, these qualifiers will be readily identifiable as industry standards. For instance, var represents variable, pol = polarized, and so on. A complete list of part type qualifiers will be included in a future post. IC symbols may contain package type suffixes in which devices are available in different package pinouts. For example, dil represents dual in line, while qfn represents quad flatpack no lead. Generic IC symbols will not have these suffixes. To clarify, let’s look at the symbol reg-iioa. This symbol will always be a regulator with two input, an output, and an adjust pin, in any package. reg-iioa.1: Can be utilized for any regulator which has the pinout of two inputs, one output, and one adjust pin. mosfet-n-gdsss: Can be utilized for any n channel mosfet with one gate pin, one drain pin, and three source pins. Symbols are stored in the form of a text file, with the extensions .1, .2, .3, and so on. Different extensions are used to display different views of the device. This has multiple benefits from a user’s perspective. Place the component using the proper view in order to display text in the correct orientation. All commonly used two pin components, such as capacitors and resistors, should have both a .1 and .2 extension. Allows for closer placement of symbols, without overlapping text and graphics. Generally speaking, these are utilized for pull up and down resistor groups. Place differentpinout schemes for the same connector. .1: All pins on the left side, numbered top to bottom. .2: Odd pins on the left side, even on the right. Numbered pins top to bottom. .3: Pins 1 to X on the left, X+1 to last pin on the right. Numbered pins top to bottom. Place different views according to “gate level” or “all pins” symbols. These symbols are usually resistors, capacitors, or diode packs. Any device that can be shown as all pins in one symbol, or as individual gates, can use this method. Ultimately, having different views of your available symbols eliminates the need to continually rotate text and labeling to match the view of the symbol, keeping your schematics cleaner and easier to read. By not including the file extension in the DxDatabook entry, all symbols with the matching base symbol name are available in the DxDatabook symbol selection window.